We are slowly – but almost definitely – developing into a society where strength, endurance and health takes precedence over appearance. Gone (almost) are those days when we all stood in front of the mirror and looked at our biceps! Sure, we might still admire our progress but most of us feel better when we achieve something with the bodies we’ve built. Functional strength and endurance, using our bodies for everyday situations – like being able to flip your mattress easily, carry heavy shopping bags, running to the bus, holding a one year old on your arm for an entire day – and the less regular ones, like carrying someone out of a burning building or pulling yourself up a ledge (let’s hope you never have to experience any of the later – but see, strength is useful, right?)! Many of us also work in manual jobs that require pulling, pushing, lifting and often the need to be ready, both mentally and physically, in case accidents spring upon you – this is imperative and can be life saving. Although what is functional, is of course subjective to each of us, there are a few exercises that are absolutely vital to achieve the strength that might turn out to be useful for you at some point in your life – and that increases your everyday performance and overall fitness. We’ve put together our top 3 exercises to build all round functional strength. 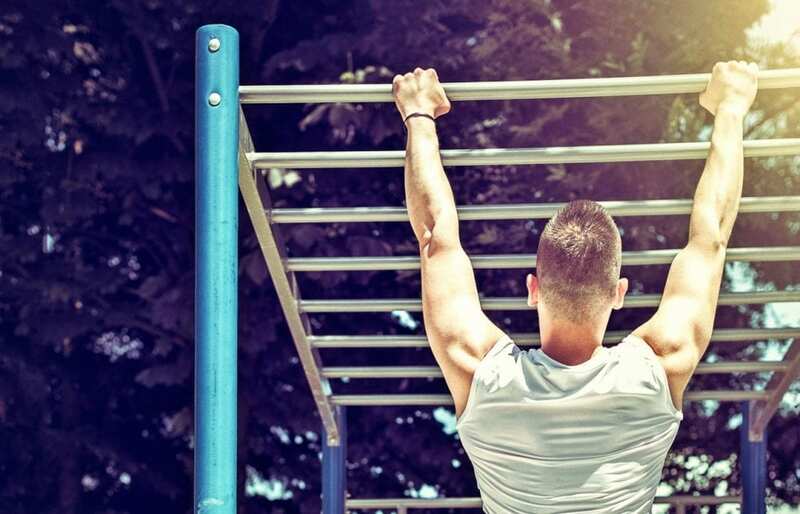 Pull Ups can be as hard or easy as you like, if you’ve never done one before – fret not, simply adding a stool/chair to rest your leg on will give you the extra support to start with and get you ready for your first pull up. You can then gradually remove the amount of pressure you place on the chair until it’s not longer needed. Regularly upping the intensity of your workouts is one of best ways of building lean muscle. If you’re ready to take the next step with your pullup workout, try strapping a weight plate to your waist or popping some weights in a body backpack/vest or whatever is handy nearby: shopping bag/small child/spouse! Check out the different moves here. We offer pick and mix marketing subscription plans, where you choose what you want: from creative copywriting to fruity logo stings. You won’t find any hourly rates or crazy out of control costs, everything is fixed into neat little plans to suit every business, big and small. Copyright © 2019 Runaway Collective Ltd. If you have any questions about any of our plans, just drop us a line or email, we’re more than happy to help.